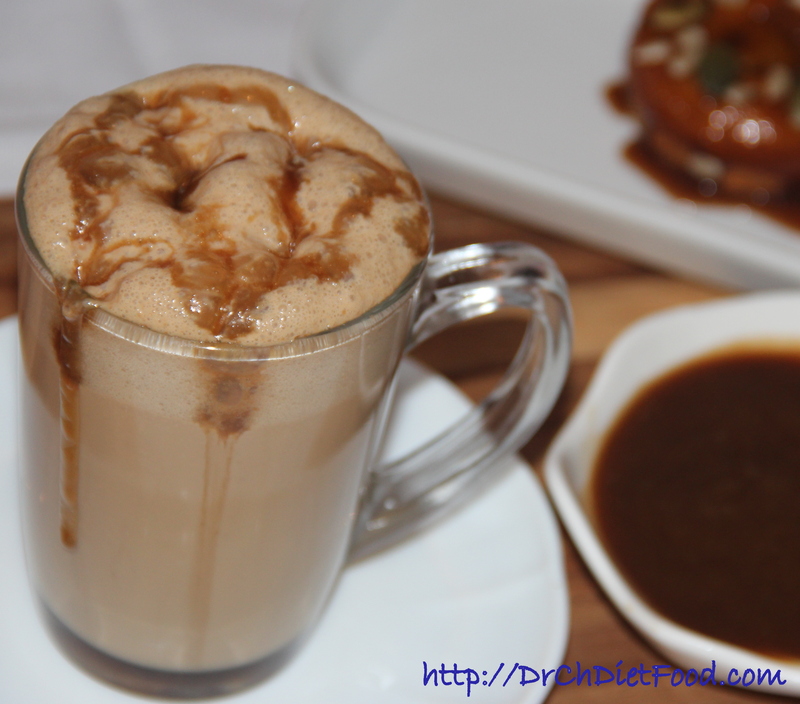 Easy, delicious cappuccino drizzled with homemade butterscotch sauce. This cappuccino is frothy beverage which can be relished for breakfast, mid afternoon or evening drink. It’s also a great to serve with cookies or it can be topped with cinnamon or whipping cream for richness and can be enjoyed as a dessert. In a sauce pan heat the milk and cinnamon stick just until milk comes to boil. Turn heat down and let the milk simmer for 10 minutes/until slightly thickens. Now pour 1/2 cup of hot brewed coffee in the cup and add sweetener to taste. Now pour hot milk raising it high. 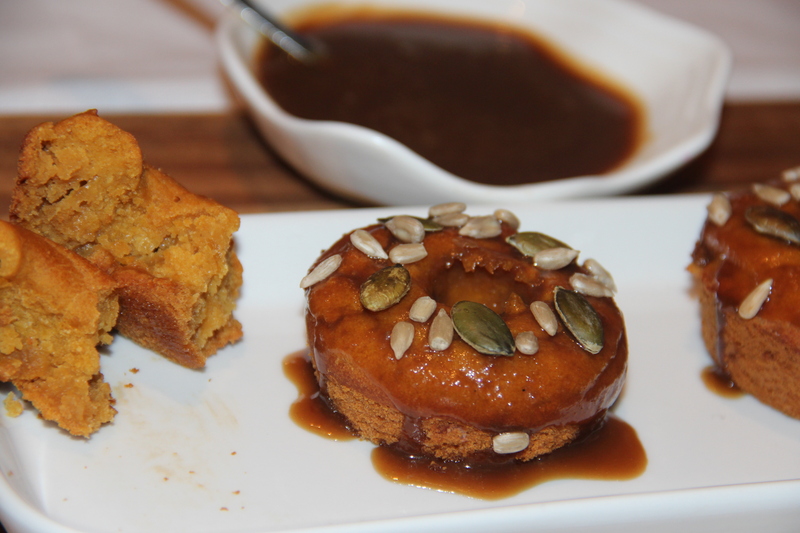 Serve hot with Pumpkin Donuts. Instant ground coffee can also be used. 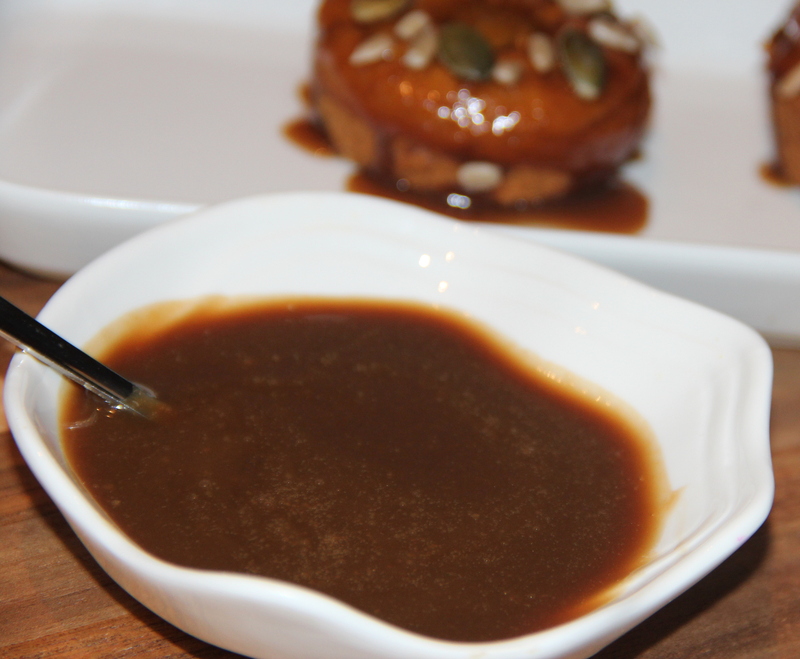 I used homemade butterscotch sauce –store bough can also be used. 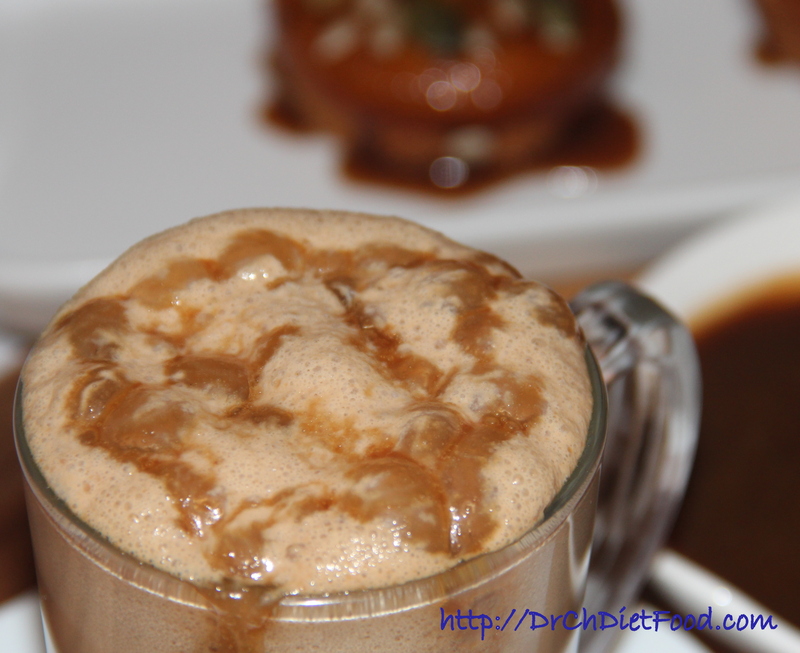 Butterscotch sauce can also be used in coffee but that might add some extra calorie to the drink so I just used to drizzle on. Posted on March 14, 2015, in Juices/Beverages. Bookmark the permalink. 28 Comments. yum yum yumm! Who would not love this tasty warm drink? Sounds and looks so wonderful!